The First Look Of 'Veere Di Wedding' Is Here & We're Loving It! Ladies, to our joy the first look of the big girl gang entertainer 'Veere Di Wedding' is finally here and it's ravishing. All this while we've been going gaga over social media posts about the movie but the makers finally treated us to the first look by releasing the poster. The poster is a bit of a tease where the leading ladies are giving us just a glimpse of their pretty faces. 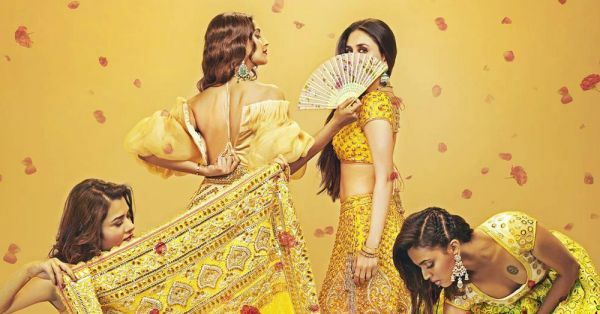 Starring two fab Kapoors- Kareena and Sonam along with Swara Bhaskar and Shikha Talsania, the movie will definitely be one hell of a party. Check out the poster here! Well, 'Veere Di Wedding' is definitely going to be the shaadi of the year. Are you all ready?